Sound strategy starts with the right goal. Building a successful business or career takes daring and drive, and it requires a level of focused effort that many people simply can’t comprehend. However, when you have a vision for what you want to build — and the desire to determine your own destiny — bringing your dream to life is the only option. For many owners of closely held companies and independent professionals, planning your future can take a backseat when you’re so busy building and running your business. In these circumstances, delaying your own financial planning process often feels like a reasonable trade off. However, without informed strategies guiding your choices, you could be missing out on opportunities or opening yourself up to unnecessary risks in the process. 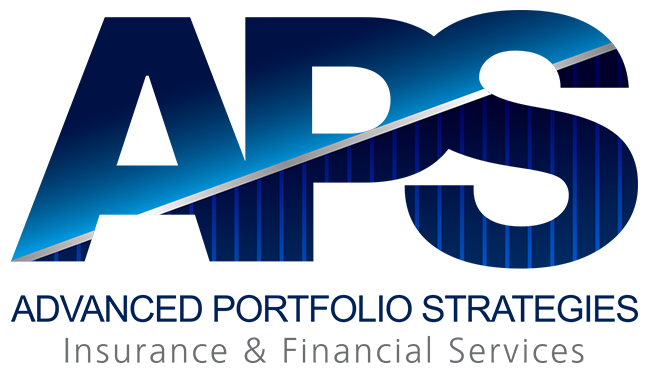 At Advanced Portfolio Strategies Insurance & Financial Services (APS), we support business owners and independent professionals like you who want to protect their life’s work and create financial freedom — today and after you choose to stop working. How can I control — or limit — my tax liabilities? Am I using the right tools and strategies to plan for my financial future? Will I have the income I need to maintain my lifestyle if I stop working? Could death, disability, or divorce damage my company? How can I fairly pass my business and assets to my heirs or key employees? No matter your objectives, we are here to support you with hands-on, intelligent strategies. And as an independent financial advisory firm, we have the freedom to provide the guidance you need — and the sophistication to address your complete wealth management goals.